Butler has worked as a free-lance radio and print journalist for in Ohio and in Minnesota. He is the co-founder with his wife Jen Rothchild of Sam’s House, a Nepalese orphanage based in Pokhara. He is currently finishing his PhD in sociology from the University of California, Santa Cruz. 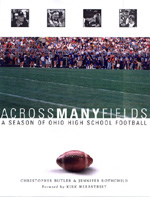 His book, Across Many Fields: A Season of Ohio High School Football emerged from his interest in cultural trends in the U.S. He lives in Morris, Minnesota with his wife and daughter. 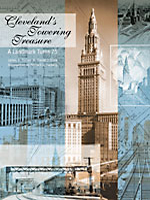 Native Clevelander Daniel J. Cook is a co-founder of Cleveland Landmarks Press and co-author of five of its books, including Cleveland’s Towering Treasure, one of the company’s latest releases. Cook earned a business degree in marketing from Cleveland State University and has spent most of his professional career in business-to-business publishing. He was district manager for the Chemical and Engineering News and Plastics Technology journals, as well as publisher for a number of other trade magazines for Corcoran Communications and Babcox Publications. Cook currently works for an automotive supplies distribution company. He and his wife Kathryn are the parents of three grown children. Dan and Kathy Cook live in Independence, Ohio. 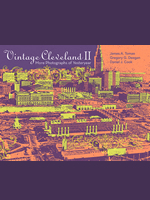 A native Clevelander, Deegan is the co-author of Cleveland Stadium: The Last Chapter (1997), The Heart of Cleveland: Public Square in the 20th Century (1999), and Vintage Cleveland II: More Photographs of Yesteryear (2012). 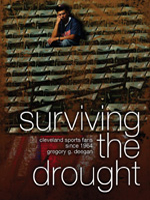 He also wrote Surviving the Drought: Cleveland Sports Fans Since 1964 (2007). 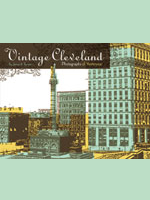 He is a partner in Cleveland Landmarks Press. After having taught history, public policy, and government at Beachwood High School for 21 years, he currently serves as the Director of Community Education for University Circle Inc. He is also executive director and founder of the Teaching Cleveland Foundation, a local non-profit focused on developing Cleveland-centered curricula in primary and secondary schools in Greater Cleveland. He lives with his wife Liz and three children in University Heights, Ohio. Author and native Clevelander Alan Dutka retired following a 42-year career in business. 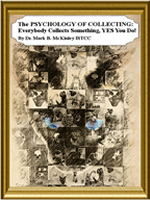 During that time, Dutka authored four books on business: Fundamentals of Data Normalization, Competitive Intelligence for the Competitive Edge, State of the Art Marketing Research, and Handbook for Customer Satisfaction, the later chosen as a Newbridge Executive Book Club primary selection of the month. 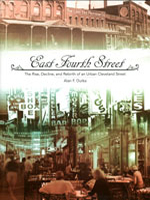 Dutka authored East Fourth Street: The Rise, Decline, and Rebirth of an Urban Cleveland Street (2011) and Short Vincent: The Theatrical Grill and its Notorious Neighbors (2012). 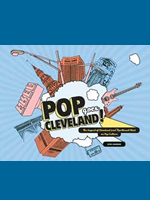 In 2012 he co-authored Cleveland in the Gilded Age for History Press. He and his wife Priscilla live in downtown Cleveland. Debra First was graduated from the Cleveland Institute of Art in 1992 with a BFA in photography. She has operated her own photography business for more than 15 years. Among her many projects, her architectural photography highlighting Cleveland’s financial sector is featured throughout the Hyatt Hotel and Arcade in downtown Cleveland. She wrote Founded in Faith because she thought that after the Diocese announced the closure of churches, their cultural heritage would be lost and the human stories and legacies would be left behind. Debbie currently works in public relations for Benedictine High School and lives in Cleveland Heights with her husband and four boys. In a journalistic career spanning 40 years, Burt Graeff covered virtually every major sporting event, including the Super Bowl, the NBA Finals, the Kentucky Derby, the NCAA basketball Final Four, the U.S. Open and Masters golf tournaments. In his 15 years with the Cleveland Press, he covered the Cleveland Cavaliers for nine years and the Cleveland Indians for three. After the Press closed, Graeff went to the Cleveland Plain Dealer for the next 21 years, where he again covered the Cavaliers and was the back-up writer for the Indians for another 12. He retired on a buyout in 2007. Graeff was born and raised in the Cleveland area. He is a graduate of Orange High School and the Ohio State School of Journalism. He is married to his Orange H.S. classmate, June Marie Wise. They are parents of one daughter, Stacy, and have four grandchildren, Riley, Julia, Caroline, and Maggie. Graeff lives in Orange Village with his wife, his Jack Russell terrier Skip, and his three-legged cat Hobbes. 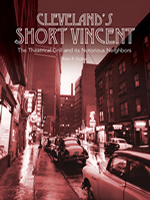 Graeff previously was co-author of The Life and Legend of Joe Charboneau and From Fitch to Fratello. 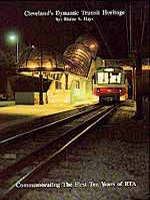 Hays has been associated with the public transit industry ever since returning to Cleveland from college studies in Pittsburgh. He worked for the old Cleveland Transit System, the Shaker Heights Rapid Transit, and retired in August 2001 from the Rail Division of the Greater Cleveland Regional Transit Authority. A frequent speaker on transit-related topics and a Cleveland native, Hays has authored or co-authored five books dealing with public transportation, among them Cleveland's Dynamic Transit Heritage and Horse Trails to Regional Rails: The Story of Public Transit in Cleveland. 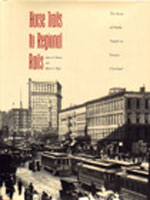 In 2012 the first of a two-volume history of public transit in Pittsburgh was published by CERA. Hays is married and the father of one. He and his wife Joanie live in Parma, Ohio. 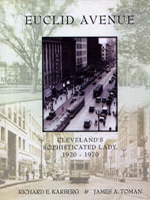 Karberg is co-author of Euclid Avenue: Cleveland's Sophisticated Lady, 1920-1970, coming in November and now available for pre-order. He is also the author of Silver Grille: New and Expanded Edition, The Silver Grille: Memories and Recipes and The Higbee Company and The Silver Grille. He was a member of the arts and humanities faculty at Cuyahoga Community College for 35 years and has since retired. Since retirement, he has been involved in consulting and advocacy work on behalf of the Cleveland’s cultural and artistic institutions. Richard passed away in June 2014. In a photographic career that began in high school and continued on the professional level for United Press beginning in 1953, and later for UPI and Reuters, Ron Kuntz has traveled around the world, visiting every continent as will as both the North Pole and the South Pole. He has covered just about every major sporting event. Major sporting events he covered include: the World Series, the Super Bowl, and 38 Kentucky Derbies. He covered 10 Olympic Games: Munich-72; Montreal-76; Moscow-80; Los Angeles-84; Seoul-88; Barcelona-92; Atlanta-96; Sydney-2000 and two Winter Games, Lake Placid-80; and Calgary-88. In 1974, he covered the Rumble in the Jungle, the Ali-Foreman championship fight in Kinshasa, Zaire. 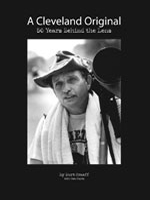 In 1978 he shot the World Cup Soccer Championship in Argentina and the Pan Am Games in Caracas, Venezuela. He has won many national and international awards and was nominated for four Pulitzer Prizes. Ron was inducted into his high school Hall of Fame in 1987. He was given the Distinguished Service Award from the Society of Professional Journalists. He was inducted into the Press Club of Cleveland’s Journalism Hall of Fame in 2006. His pictures hang in the Pro Baseball Hall of Fame. With over three decades of service as a photographer with the Bill Glass Prison Ministry, Ron has participated in 300 prison weekends, and has been in over 2,000 prisons throughout the United States and in Peru; South Africa; Brazil; Mexico, and Puerto Rico. Ron Kuntz passed away in March 2013. He is survived by his wife Nancy and five adult children. Janet Macoska has been capturing rock’s greatest on film since 1974. With 40 years in photography, she has produced an unrivalled archive. Her images have often been utilized for television coverage by networks such as VH1, Bravo and A&E. Her photos have been featured in Rolling Stone, People, US, Vogue, AmericanPhoto, Creem, 16 Magazine, The New York Times, and London Times. 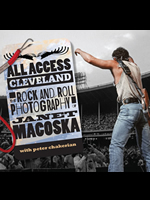 Born, raised, and educated in Cleveland, Janet currently provides photographic services for the Rock and Roll Hall of Fame and the Hard Rock Rocksino in Northfield. She lives with her dog Maggie in Brooklyn, Ohio. Jay Miller has been a writer and reporter in Cleveland for more than 30 years. He joined Crain’s Cleveland Business in 1982 and spent a decade there, first as a reporter and then as assistant managing editor. After serving as managing editor of a short-lived Cleveland news weekly, City Reports, he spent 11 years as an independent writer specializing in business and local and business history. He was a correspondent for Reuters News Service and Credit Union Times and a columnist for The Manufacturer. His work appeared in Cleveland magazine, Inside Business and a number of national business publications. He helped write histories of two Northeast Ohio companies, Invacare Corp. and RPM Inc. He also helped to create Inside Business magazine’s Business Hall of Fame. He returned to Crain’s Cleveland Business in 2003, where he continues to write on government and economic development issues. 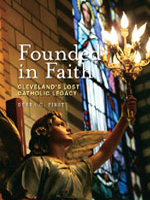 Over the years his writing has won numerous awards from national organizations including, the Alliance of Area Business Publications and the American Society of Business Press Editors, and, regionally, the Press Club of Cleveland, the Society of Professional Journalists and Women in Communications. Poplar first became involved with the Cleveland Browns in 1965 as part of his company’s annual audit of the team’s books while working for Arthur Andersen. 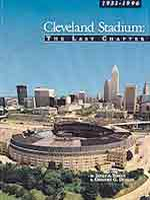 From 1973 through 1996 he served as the vice president and treasurer of the Cleveland Stadium Corporation which was then operating under a lease with Cleveland Browns owner Art Modell. The records he kept of those years formed the documentary basis of his book, Fumble! 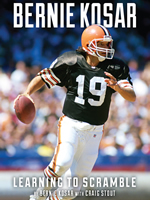 The Browns, Modell, and the Move, which spent almost two months on the Cleveland best seller list when it first made its appearance in 1997. After a valiant battle with cancer, Mike Poplar passed away in March 2005. He is survived by his wife Sunnie and five children. Rothchild is the photographer for Across Many Fields: A Season of Ohio High School Football. She is an assistant professor of sociology at the University of Minnesota at Morris and has photographed subjects in Asia and Europe as well as the United States. Tom Smolko is a lifelong resident of Northeast Ohio. Born and raised in Maple Hts., Ohio, Tom is a proud 1995 graduate of Maple Hts. 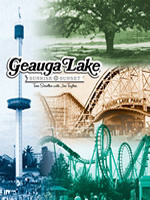 High school, and he remembers fondly the summers he spent operating a refreshment stand at Geauga Lake Park. Tom, an award winning screenwriter and producer, is president of Smoke Screen Entertainment. 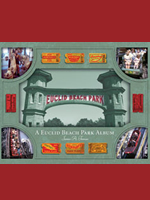 Ever since the park closed in 2007, Tom has felt it his "duty to pass along this small piece of Northeast Ohio history." The diehard Cleveland sports fan currently resides in Hudson, Ohio, with his wife Kristy, son Ben, and daughter Addison. 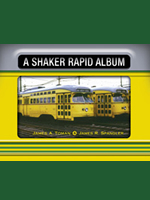 James R. Spangler, a native Clevelander, grew up in an area of the city well served by several streetcar lines. Following high school and a stint in the armed services during World War II, he was employed by the Cleveland Transit System as a traffic checker, and in that capacity came to know the system from end to end. He then moved on to the U.S. Postal Service where he spent the next 35 years until retirement. He joined the Euclid Railfans Group and together with several good friends began to photograph the system. Over the years he has accumulated a large collection of photographs documenting the city’s streetcar heritage. He has presented programs before many Cleveland groups, and for years has been a fixture at most of the areas railfan gatherings. Spangler is a member of the Northern Ohio Railway Museum. 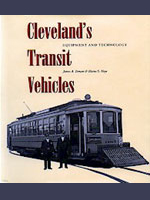 He has co-authored four books on Cleveland transit and contributed to many others. A father of two and grandfather of six, he lives in suburban Mayfield Heights. James A. Toman was born in a southeast suburb of Cleveland. At an early age, he became fascinated with streetcars, and his first college research paper was on the history of the streetcars in Cleveland. With time, his interests broadened to encompass many aspects of Cleveland history. 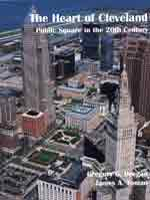 One result of that interest was his co-founding Cleveland Landmarks Press in 1980 to publish books about the city’s history. He has authored or co-authored 22 books on various Cleveland topics, particularly those relating to the downtown district and to public transportation. 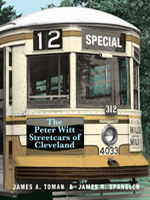 An inveterate collector of Cleveland streetcar photographs, he has also photographed most of the streetcar, light rail, and subways systems in North America. He holds a doctorate in education/clinical counseling, and retired in 2006 after 43 years in the teaching field. His last educational post was as dean of the Social Sciences/Human Services Division at Lorain County Community College. He lives in the Shaker Square neighborhood of Cleveland. George N. Vourlojianis earned his doctorate in history, with a specialization in 19th century American Studies, from Kent State University. He currently is associate professor of history at Lorain County Community College and campus advisor to the college's Phi Theta Kappa chapter. He also serves on the adjunct faculties of Kent State University and John Carroll University where he teaches upper-level history courses. In 1999, he received the Distinguished Teaching Award for Arts and Sciences at Kent, and in that year he was also designated a U.S. Military Academy Fellow. 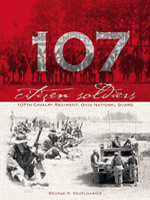 A previous book, The Cleveland Grays: An Urban Military Company 1837-1919 , was published by Kent State University Press in 2002. He lives with his wife Sally in Elyria, Ohio. Yasenosky, a native Clevelander, has been a graphic designer for over 20 years. He's been painting, drawing or designing something for as long as anyone who knows him can remember. John's design work has been a staple of Cleveland Landmarks Press and has defined the look of its publications for over a decade. John has designed 15 books so far, with more titles in the works. He has a degree from Kent State University and currently works as a corporate designer for a Cleveland greeting card company. John and his wife Debbie are the parents of three sons. The family lives in Mentor, Ohio.